If you ever feel the need to change the service user account of the vRealize automation user (the account that has a dedicated user/role at the vCenter configured), make sure to do the following afterwards. It’s not sufficient to change the credentials of the vCenter user in the endpoint section of vRA. Connect to the vRealize Orchestrator client and search for the failed workflow WFStubMachineDisposing. The log files of the failed workflow indicates an authentication problem. 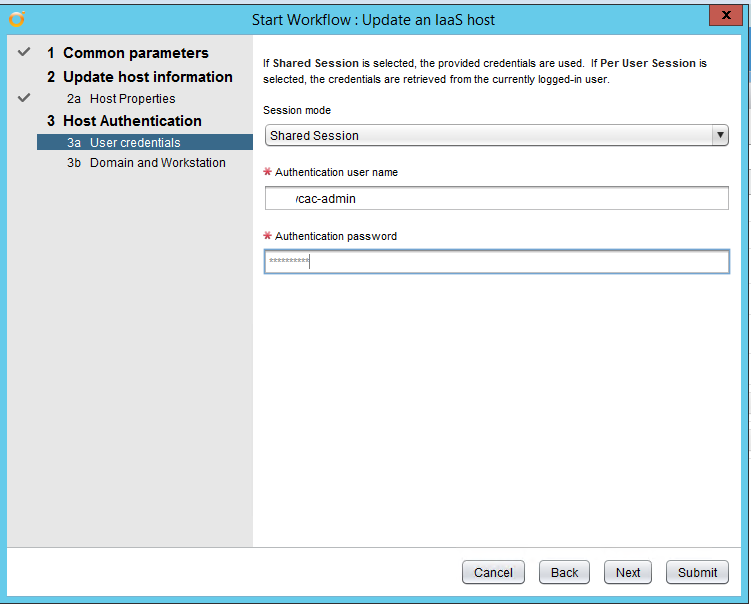 Next step is to update the IaaS vCenter credentials within the corresponding workflow. Enter the correct credentials and finish the workflow wizard. and voila… the next requests should work as expected.